How often do you think about branding for your business? One of the most important places to brand your business is in URLs. This can be difficult if you’re using a tracking software or even a third-party platform that creates URLs for your marketing materials, such as with ShortStack.com. 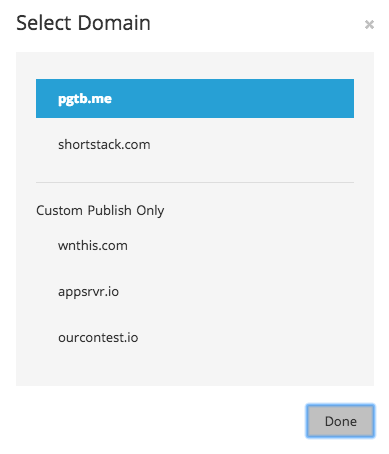 When you build a Campaign using ShortStack.com you’ll be provided with a Smart URL. We use Smart URLs because they enable all of our Campaigns to be mobile friendly without requiring any extra steps from users. However, unless you embed that Campaign on your website, you’ll want to customize your URL so that it reflects your brand. 1. Uniform Verbiage: As we previously expressed, it’s important to brand all of your marketing materials. Using a custom Campaign URL gives you the opportunity to include relevant words and your business name in your URL. This will keep your Campaign consistent with the rest of the materials you’re sharing online. 2. SEO: URLs are one of the fundamental building blocks for SEO. The easier you can make it for top search sites to find your URL the better they’ll rank. Using your business name in your Campaign URL makes it easy for anyone online to find your Campaign if they’re searching your business. 3. Looks more trustworthy: Including your company name in your Campaign URL makes it look more professional than a default URL does. Step #1: Build your Campaign and hit publish. You’ll be greeted with a Congratulations message that will include your Campaign URL. Click on the Custom URL button to brand your Campaign URL. Step #2: Type in your preferred custom subdomain in the box. We recommend including your business name and a relevant word to your Campaign. For example “dove-thanksgiving-giveaway.” Click on the pencil icon if you’d like to change the main domain. Step #4: Use your custom URL to share your Campaign with your audience. All ShortStack URLs are inherently mobile friendly. *The features discussed in this post require a premium ShortStack plan.